When humans blow their tops, you get fires, murders, and similar troubles. This is bad. When Exalts blow their tops, you can get major disasters. This is worse. Sadly, as the arrogant belief that their actions are right by definition spreads through any given population of exalted rulers, the recognition that this is a problem tends to fall away. You wind up with a population of arrogant demigodlings who all believe that everyone ELSE needs help, while they – of course – are perfect. Until they do reach that point, however, some of them are wise enough to use Dreamstones. A Dreamstone is a fairly simple artifact, although they tend to be regarded with suspicion due to their remote ties with the Wyld. The user wears it. When his or her emotions go out of control – whether due to temper, emotional breakdown, or limit break – he or she gets an immediate mental vacation – two subjective hours in a fantasy world where he or she can smash things, “get drunk”, do calming exercises, go swimming, or just give whatever upset him or her some thought. While nothing can truly be accomplished while “on vacation” other than calming down, by exterior measurements, all the user has done is look a bit vacant for an instant. Sadly, a Dreamstone can only function once per day. Some people needed Artifact *** versions which provided an entire subjective day of vacation time – but they were generally far enough gone that they didn’t use them for long. The fact that others tended to view such individuals as “weak”, “off”, or even “addicted” did not help that tendency. Oddly enough, the Usurpation occurred shortly after the use of Dreamstones fell completely out of favor. Artifact Armor was priced in the early days of Exalted first edition. Nowadays, however, it’s horribly overpriced – mostly because it’s of very little use, but it’s still priced like artifacts that really are useful. Ever since the introduction of “power combat” and essence-based ping damage the actual effectiveness of armor has been going downhill. Hardness was meant to allow characters to shrug off weak attacks – but you don’t see attacks that weak from any opponent who has a significant chance to actually hit most exalts anyway. In fact, a strength four mortal with a chunk of wood (“Staff”, +7B) will automatically penetrate the hardness of five-dot artifact armor – and gods forbid it should be a well-carved lump of wood or one the local thaumaturgist has charmed (Perfect, with +2 damage), in which case an ordinary strength two office worker can pick it up, get a raw damage score of 11 automatically, and smash his way straight through that maximum ten-point hardness. Yes, they’ll wind up doing one die of ping damage – but it’s still silly. If it’s a remotely competent opponent, or one with an artifact weapon, Hardness is quite irrelevant. Between magical flurries, overwhelming and piercing weapons, and an vast array of charms that either boost damage enormously or inflict various special (and often lethal) effects when an attack does any damage at all, an awful lot of characters don’t bother with armor at all. 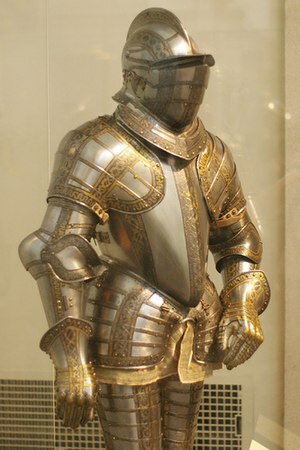 When it’s “perfect or die” why should you bother with armor? And why did the first age make things like “discreet essence armor” anyway? It was so weak as to be quite useless. Ergo, lets fix that, and provide SOME point to artifact armor. All we have to do is to give it some bonus functions. * Perfectly caps damage from any attack or flurry at six health levels. ** Perfectly caps damage from any attack or flurry at five health levels. Effectively provides +1 level of Ox-Body Technique. *** Perfectly caps damage from any attack or flurry at four health levels. Effectively provides +1 level of Ox-Body Technique. **** Perfectly caps damage from any attack or flurry at three health levels. Effectively provides +2 levels of Ox-Body Technique. ***** Perfectly caps damage from any attack or flurry at two health levels. Effectively provides +2 levels of Ox-Body Technique. Any Crippling, Desecration, Shaping, Sickness, or Poison effect which an attack or flurry would normally inflict may be converted to the loss of three motes – even if it would normally take effect more than once due to a flurry or involves more than one of those keywords. Note that the damage caps are FINAL caps. It doesn’t matter whether your awesome primordial blast does 10,000 levels of damage, or your charm multiplies the “final damage” by ten, or whether a charm is supposed to ignore armor, or whether your flurry hit ten times, or anything else; if you attack someone wearing three-dot artifact armor, he or she will not take more than four health levels of damage from that attack.